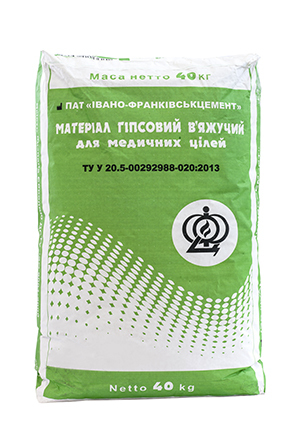 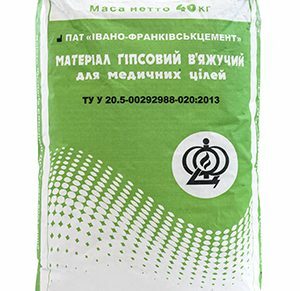 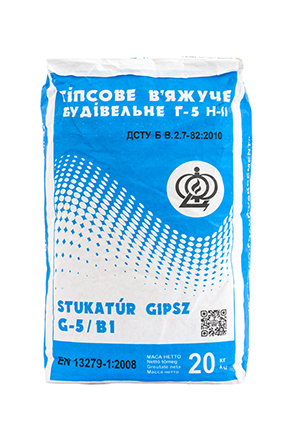 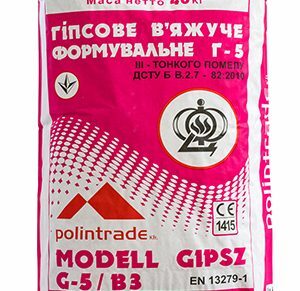 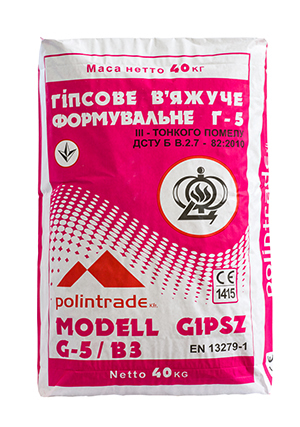 Gypsum (or gypsum binders) produced by JSC "Ivano-Frankivskcement" is an environmentally friendly building material. 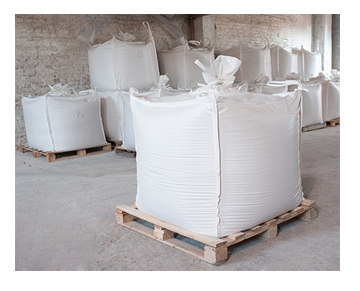 The raw material for its production is high quality natural fraction stone from the best fields. 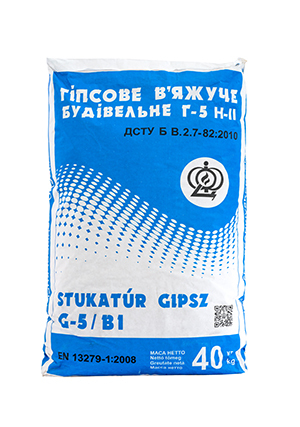 Thanks to this fact, our gypsum has a high degree of whiteness (more, than 90%) and neutral pH. 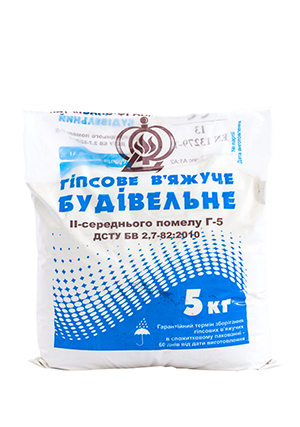 – begin: not earlier, than 6 min. 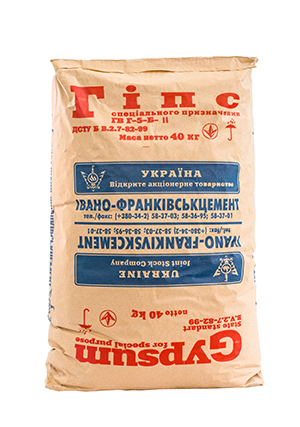 – end: not later, than 30 min. 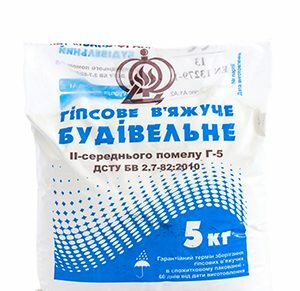 – begin: not earlier, than 2,5 min. 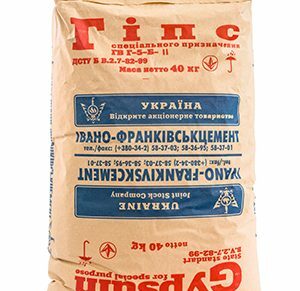 – end: not later, than 12 min. 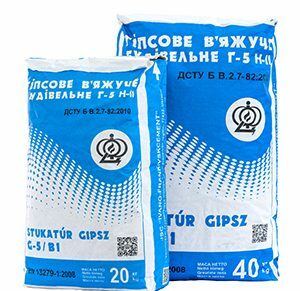 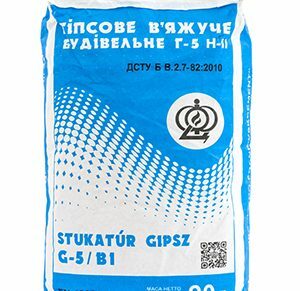 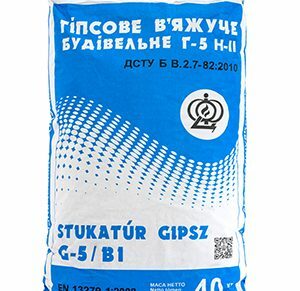 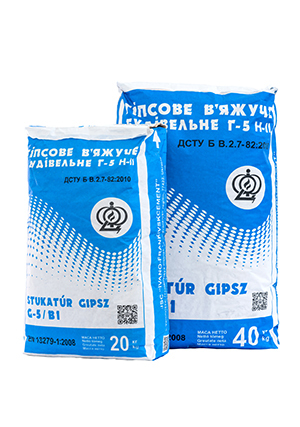 All kinds of gypsum are shipped in bulk and in packages in 4-layers bags of 40 or 20kg, by road or by railway transport.